True life horror story of the Donner Party emigrants that end up stranded in the Sierra Nevada mountains in 1846. Originally written in 1936 and revised in 1961, it pulls no punches while still maintaining an objectivity that avoids lurid sensationalism. A bit dated in style and ethnic sensitivity. It's a little like a Tolstoy novel because of the number of characters involved and the back and forth of the various parties and rescue missions. You will never forget the vision of the rescuers finding some of the enfeebled, dead, and starving survivors at the bottom of a 25 foot snow and ice crater surrounded by the half eaten corpses of their neighbors and family, their entrails still in the stew pot over the fire. At once a testament to both the heroism and desperation that humanity is capable of. Murder, greed, and selfishness are just the beginning. 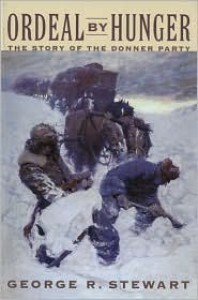 It's a classic of survival literature that never fails to fascinate and hold us in suspense even as our stomachs churn. Contains the Reed and Breen diaries as appendices as well as the 12 year old Virginia Reeds account of harrowing journey. 23 of Beaumont's best, foreword by Bradbury, afterword by Shatner. I'm thinking 5 stars already. Another book that is impossible to review or paraphrase as a whole. Every single story and poem, and there are a bundle here, will entertain, boggle, and challenge you at the same time. Best taken in small bites, one story at a time, since the breadth of form and content is so great. Savor this. Reread individual stories after you've sat on them for awhile. If you open your mind you will never be bored even by the longer entries. A pure delight. Probably the best book I've read in 2015. Enough superlatives, go find out for yourself! This is another example of why I've been saying since I first discovered them in their infancy that Chomu Press is the most important and exciting publisher of contemporary fiction. Buy their books! Make sure they survive! Average sci-fi entertainment that is marred by a particularly weak "it was all a dream" type ending. We don't even get to shed any tears, none, and all those shed along the way were wasted. I found the characters tepid by McCammon standards and the scenario and plot, while showing early signs of innovation, settled into a fairly conventional class in the end. Hardly an occasion for rejoicing about McCammon's return to 1980s form. 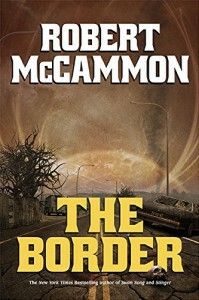 A fat read strictly for McCammon aficionados. What starts out excellent finishes as just average. 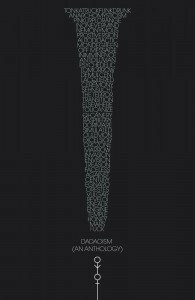 The first 121 pages of this collection by Schwader, known primarily for her poetry, are great; top notch Lovecraftian stories that are fresh and original, and not derivative. But then things change, the second half of the book is stories based around the character Cassie Barrett that partake more of the Nancy Drew mold, as in Cassie Barrett and the Curse of Yig. These are a loosely related chronologically set of stories that have a more traditional structure and a less original feel. Set in the West and Southwest they are all connected but could be stand alone stories. Unfortunately for the overall collection they are nowhere near as uncanny or atmospheric as the stories in the first half of the book. One good thing is that Cassie Barrett is a strong female character that doesn't need protecting, a nice touch for the Lovecraft subgenre. 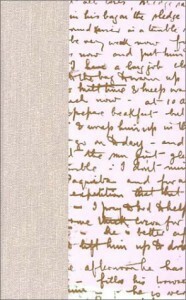 One can see Schwader is a poet in the first 11 stories in the collection. Her prose is infused with a more poetic feel. For some reason the Cassie Barrett stories just don't have this feel at all. I guess I could have said the first 142 pages are great because one or two Cassie stories would have been okay for the book, but 5 longish stories, and over half the page count, made the second half drag a bit. A somewhat reluctant four stars. The first half is definitely worth the price of admission and overall the collection is pretty solid. A nice little book of strange stories primarily of a melancholy nature. 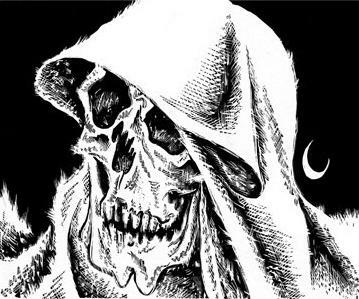 Many of the longer stories reminded me of an earthbound Clark Ashton Smith. There is a great deal about regret here but also some pure whimsy. The centerpiece, which appears at the end of the book (think about that for a second), is The Orchid of Asia which could easily have appeared in Weird Tales. 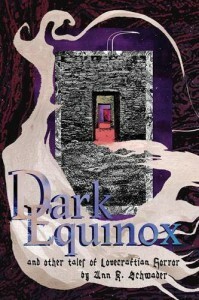 Tartarus calls it a novella but it is a slim read for a novella. The introduction by the editor, S.T. 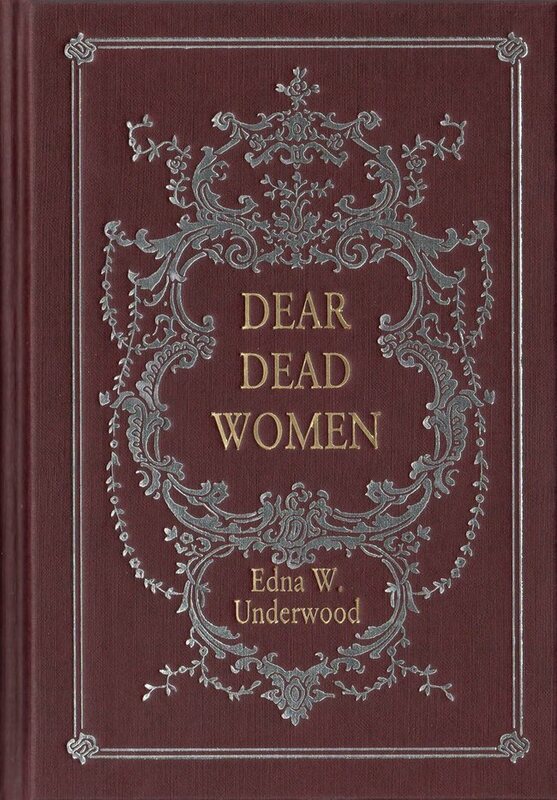 Joshi, seems a bit dashed off, but in a few pages is enlightening about the late Ms. Underwood who in her time was a brilliant multilingual translator and writer. This little volume collects all her "weird" fiction for the first time. 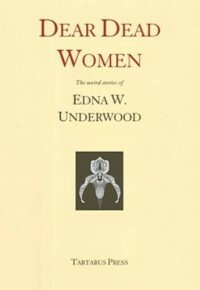 It contains a bibliography of Underwood's known published works, of all things. A pleasant diversion, or entertainment if you will, once again beautifully produced by Tartarus Press with, of course, a lovely wood cut of an orchid on the dust jacket. I'm quite fond of this little book. I finally finished this sucker. 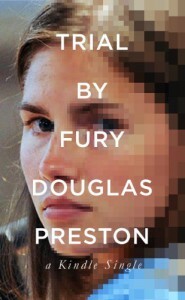 Far from being a page turner, I found it tedious. 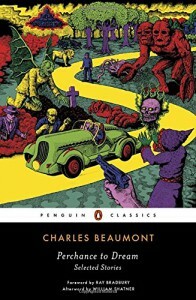 For me the novel has four big problems: the writing is bad, okay it's pulpy, it hasn't dated well, the main character who tells the story from a first person perspective is a fool that we NEVER sympathize with, and lycanthropy is my least favorite horror trope, so it already had a poor chance to do more than show with me. As far as being dated one might say "it is of its time." but so is The Colour Out of Space but we don't feel that about the story while reading it. It doesn't overwhelm the other factors in favor of it. The writing is pulp bad, 'nuff said. Barbee is just a pitiful character from a characterization standpoint, a fool and a wimp. He is so unbelievably gullible for an otherwise intelligent guy it goes beyond our suspension of disbelief. Lastly, let's just say it: I hate werewolves. Werewolves and shape-shifters just don't work for me, never have. You are already on the wrong foot with me. At best they are actually pitiable imprisoned beings that just don't frighten and there are so many things you have to put aside to believe them it just becomes too self-conscious for me. Just my personal bias. In the end I just cannot find that much to say good about this. 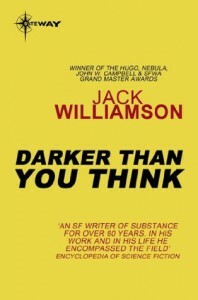 I have never read anything else by Williamson (maybe that's a blessing), but he is certainly venerated within the sf community. Maybe if I was a kid in about 1947 reading this in my tree house with nothing to compare it to, I might like it, but that doesn't say much now. I finally finished this sucker and I have to admit, at least for me, the last third was the most compelling for me. 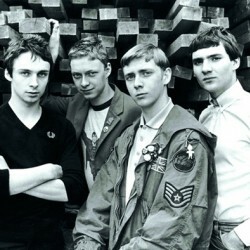 It seemed to me to be a really great novel about The Face, a Mod icon, interspersed with a very flawed, well let's just say weak, novel about the futuristic Paul researching the Mod era. The science fictiony thing just didn't work and Reed's prose about a near dystopian future just did not have the emotional punch it needed to carry the Paul plotline. On the other hand, the prose in The Face portions of the book, the ones set primarily in the 1960's, was marvellous and you could really feel the energy and liveliness of someone who had lived in that era and place writing. This plotline, I mean The Face one, was quite poignant and moving in the end and said as much as a novel much better known, The Sense of an Ending. It gave a real sense of having to leave our youth behind and of time passing, even for The Face. It also said a great deal about how truly revolutionary art (music, fashion, design, etc.) gets assimilated by our culture and becomes part of the accepted mainstream forms of entertainment and style. What we are left with is nostalgia, parody, imitation, and pastiche, not originality. That's not to say some of what comes later isn't good and fun as entertainment, but it will never have the impact or verve of the first time around. It is always driving while looking in the rear view mirror too often. 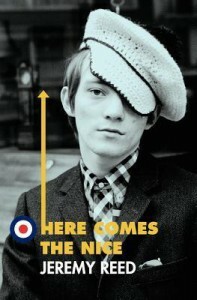 Reed's grasp of the excitement of the Mod and British Invasion era is palpable and his use of metaphor exquisite. His perception of Mod style as the beginning of later, more visible, gay style and culture, are probably right on since most of the Glam Rockers of the 70's got their inspiration from the Mod era in England in the 60's. And on and on these things go. In the end I felt like a really exciting and literary novel about the Swinging Sixties era and its evolution and devolution, through the eyes of the one iconic character, was marred by the bolting on of the whole sci-fi dystopian world parts of the narrative in order for the whole thing to make a more "believable" whole. Just to be honest, I have been a big fan of Coye's work since I first encountered it in August Derleth's anthologies, so I'm already somewhat biased. Excellent book with extensive full page illustrations covering mainly the last and most productive decade of Coye's life and art. Taken from some of the last publications he produced for: anthologies, magazines, fanzines, and also some never before published works. 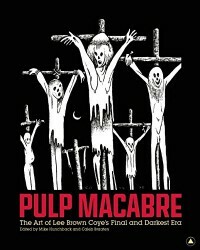 Really thoughtfully laid out and produced, much better than the more comprehensive biography, Arts Unknown: The Life & Art of Lee Brown Coye (also recommended just for the biographical content and samples of Coye's earlier work as pulp Illustrator and Regionalist artist). For many years the only way to see some of these illustrations was to acquire the pricey limited and rare editions of the books and 'zines these works were produced for (and the ungodly expensive Centipede Press collection), so this is really a great service to fans of Coye and just to anyone interested in what may have been some of the best work of the greatest macabre illustrator ever. It's a toss up for me whether this or the classic Mawson's Will is the better book. While Bickel's book is probably the slightly more suspenseful, it is short on detail at times. That is not the case here, Roberts doesn't skimp on the detail while still maintaining the suspense of the story. In some cases the details increase the awe that Mawson's achievement was, since even particular days consisted of superhuman accomplishments. Roberts also has much more about the psychologically creepy nightmare that was wintering over a second year (with a lunatic no less) in "the windiest place on earth," basically skipped except for a few paragraphs in the Bickel book. To summarize in the TV Guide tradition, in 1912 Dr. Douglas Mawson and Dr. Xavier Mertz are 300 miles from home base in Antarctica when their companion Belgrave Ninnis disappears down a crevasse with his sledge, dog team (most of their dogs), and most of their food and gear, including their tent. With a week and a half of food left for the two men and only a few of the dogs, Mawson and Mertz have to cross 300 miles man hauling a sledge with what's left of their gear and get back to the coast to be picked up. 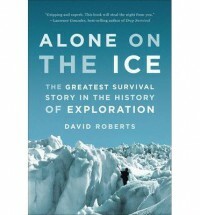 What Mawson and Mertz will undergo, and hopefully overcome, has been called the "greatest human survival story ever." This was from Sir Edmund Hillary and Sir Ernest Shackleton, no survival slouches either. Mawson may also be the greatest polar explorer of the heroic era, but is always overshadowed by the better known Scott, Shackleton, and Amundsen. Every Australian knows of Mawson but few outside of Australia know of his feat and accomplishment. The book has an extensive index (really valuable), maps, and a number of black and white photos from the heroic age of polar exploration. The book is extensively researched and Roberts sought out and had made available to him sources that Bickel hadn't. Roberts particularly calls into question Bickel's conclusion that Vitamin A poisoning from dog liver was the primary cause of Mertz's and Mawson's weakening, citing other factors such as exposure, scurvy, and just plain starvation as possibly equally to blame. We'll never know. A great read if you are into outdoor adventure or human survival literature, but possibly a great read even if you aren't. Not as representative of the eerie or uncanny as previous volumes, but a greater variety of story. More surreal and a good number of just strange experimental seeming short prose pieces. They all have a plot, of a sort, but to say many are surreal and enigmatic would even be a bit of an understatement. There were a few science fiction, oh okay, let's call them speculative fiction entries, that partook of the Dickian or James Tiptree feel. Overall I was not as captivated by this volume in the series, but it was still well worth the money and you will find that Parker's anthologies are quite unique in this genre/type of collection of original stories. The book is beautifully produced, more elaborately than its younger siblings, with a fully embossed and colored binding and a full color frontispiece. As usual a beautiful production by Tartarus at a competitive price for a limited edition and it will look great on your shelf with all those other mostly cream colored Tartarus volumes. Not nearly as literary as Apsley Cherry-Garrard's The Worst Journey in the World but still page turning exciting and awe inspiring. Bickel doesn't mention many sources but we have to assume he had Douglas Mawson's own The Home of the Blizzard Being the Story of the Australasian Antarctic Expedition, 1911-1914 to go by and presumably his diaries. Up to a certain point he has Xavier Mertz's diary as well but I'm still not sure how Bickel fills in all the blanks so definitively particularly after Mertz dies. There is a three chapter excerpt from The Home of the Blizzard Being the Story of the Australasian Antarctic Expedition, 1911-1914 in my edition covering the same timeframe as Bickel. Anyway, another smashing good read about a polar expedition where about everything that could go wrong did, up to a point. Somehow Australian Mawson alone, having lost or left behind most of his food and gear, suffering from starvation, snow blindness, vitamin A poisoning, and scurvy manages to literally crawl and roll downhill a good part of the way back to where he started and survive to boot. Few know about Mawson due to the fact that his saga was overshadowed by the Scott-Amundsen race to the South Pole and the subsequent disaster that happened to the Scott party on the way back around the same time. My notifications say there is a general booklikes Announcement but I don't see a link to anything other than the regular blog and that seems to have nothing. Does anyone know what is going on? 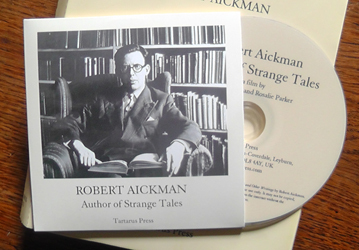 When you buy this book from Tartarus Press it comes with a 53 minute DVD, Robert Aickman: Author of Strange Tales, produced by R.B. Russell and his partner Rosalie Parker. I haven't read the book yet so this review at this time is strictly about the DVD. I watched it and it gives a pretty good overview of Aickman's life, work, and influences. I'm actually re-watching it as I type. There are film clips, photographs, drawings, sound clips, interviews with acquaintances, critics, and aficionados. It really is almost the quality of a BBC documentary. Reggie Oliver and Jeremy Dyson are featured commentators and one of his girlfriends is even interviewed! 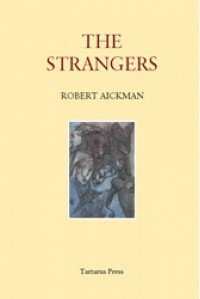 Not only does the disc deal with Aickman as a writer and editor, but also his work with the Inland Waterways (we call them canals on this side of the pond) and his relationship, personal and professional, with strange tale authors L.T.C. Rolt and Elizabeth Jane Howard. Russell narrates and is pleasant and easy to listen to. Several stories are featured with excerpts read as iconic "Aickmanesque" in order to define this odd adjective, which is almost an impossibility. 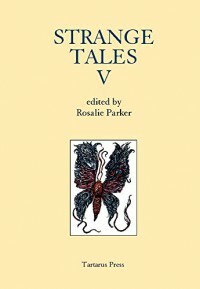 Tartarus Press books seem pricey to many but with this volume containing six unpublished and uncollected Aickman stories along with poetry, nonfiction, and this DVD it is actually quite a value, as if that mattered. In the end I didn't really like this book very much. It seemed totally forgettable. Tremblay fails to flesh out any of the characters except for Meredith/Merry and maybe Marjorie to some extent, so we don't really have much invested in anyone else. 80% of the book is one giant red herring which Tremblay still gives away all too soon, making not much suspense OR mystery to enjoy. 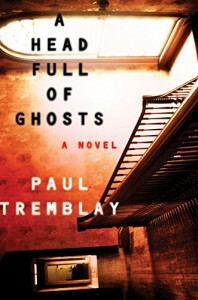 Tremblay wants us to get into the old: Is this just psychological or really supernatural or both? But we don't really care and it ultimately adds nothing to the story. It's a horrible story (content-wise) either way so it is six of one and half a dozen of the other and the whole metaphysical aspect was wasted on me. We're made to think this argument is more profound than it is because of the the phenomena Merry observes, but is the only one alive to relate, before the reality TV show, but then we get into, oh my, maybe she is just a really unreliable narrator which muddles anything profound to be gleaned from the rest. There are a lot of limp wristed swipes at Catholicism, Christianity in general, and god based religion that seem preachy but unconvincing and pointless. The blog posts were superfluous and over explanatory and were just filler for me. What did I like? Well, you can read it very fast, in a couple of hours, and not miss a thing (while or after reading it). Into the bin headed for the second hand store.